We believe that, with good mental health, everything we want to achieve, create or strive for is possible. And we are all about making our dreams real, by functioning at our best. It is the end of mental health awareness week which has been a celebration of what we stand for and believe in… and better yet, an eye opener to how bright our futures can be when we look after ourselves and our surrounding environment. As League Collective grows, we want to build a community, bring people together and support each other through the good and the bad times. We can’t think of a better way to do that than to host events where we bring people together through collaborative fitness and creativity, to give people space to develop their ideas and goals, and try out new challenges to help us realise just how capable we really are. League Collective creates sustainable and durable sportswear with its own creative and raw flare – a product to carry us a long way through daily activities to that greater feat… From biking from A to B or entering a triathlon – our message is simple: Stay active. Physical activity isn’t something that needs to be scheduled in or something that we ‘should’ do. Staying active is a way of life that promotes good mental health and wellbeing. As human beings, we have beautiful expansive minds, that are so good at creating beyond what we know possible that we sometimes lose control. We can travel through our thoughts from past to future in a short space of time, which can create an array of emotions that feel real at this present moment. Exercise is our moving meditation and the control centre that brings us back to the physicalities of where we are and who we are right now. When we are living in the past we can become depressed, and when we live in the future we can easily become anxious. 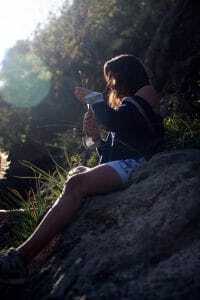 If we can harness physical activity in whatever form we like as our tool to come back to the present moment, by working the body till our mind can only focus on the current, and release enough endorphins to create current, and positive neurological pathways in our brain, then this world is once more our oyster, and anything is achievable. If we know that physical activity needs to be a part of our everyday life, yet living sustainably is a must in this day and age – then creating garments to support this way of life and holding events for people to connect in a united spirit of activity is our daily purpose. We hope that through our message we can inspire you to put physical activity up there with food, work and social life – in fact, why not incorporate it all into one? Over the coming months we will be attending an array of festivals and events where we would love you to come and get involved, say hi and try out our stuff! We will also be hosting plenty of events across the summer where we will be able to speak more deeply about our passions and motivations behind living sustainably and incorporating physical health into every part of our lives. 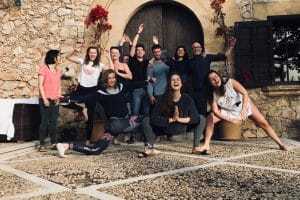 In May we ran our first Wellness retreat In Mallorca which was a huge success! So Keep your eyes alert on our mailing list to find out our September and October dates (you can subscribe via the Homepage). We hope that by coming to these events you will feel inspired to take physical activity into a new light; from yoga, to running, walking, swimming, and realising that it is these simple things in life that help our minds tick over, clear the space for new creative ideas, and hold our minds in a place of stillness. Bringing you stories to inspire, motivate and achieve. Lets create your sustainable life.